These were my first cars. 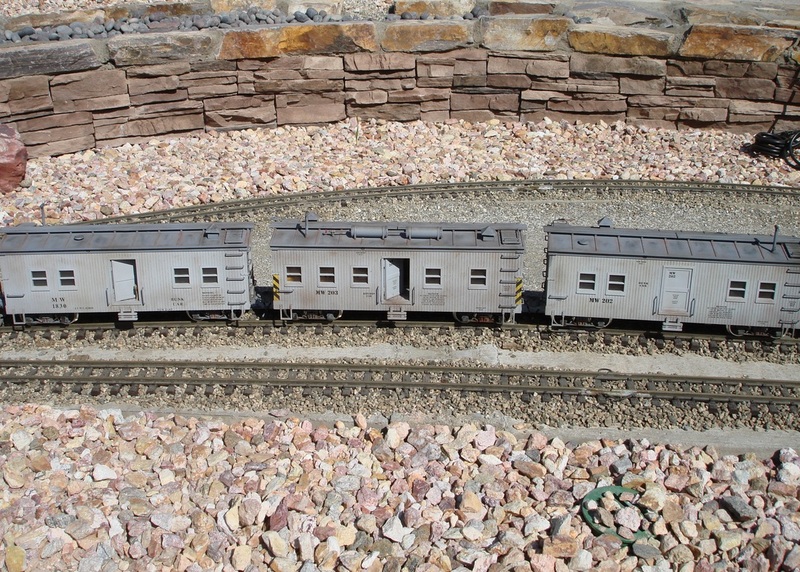 The USA Trains bunk and kitchen cars are very good models. I have multiple bunk cars on my train due to its large size. All I did to these cars was add interior lighting and weather the exterior. The crews are living the high life - their train even includes a shower car! 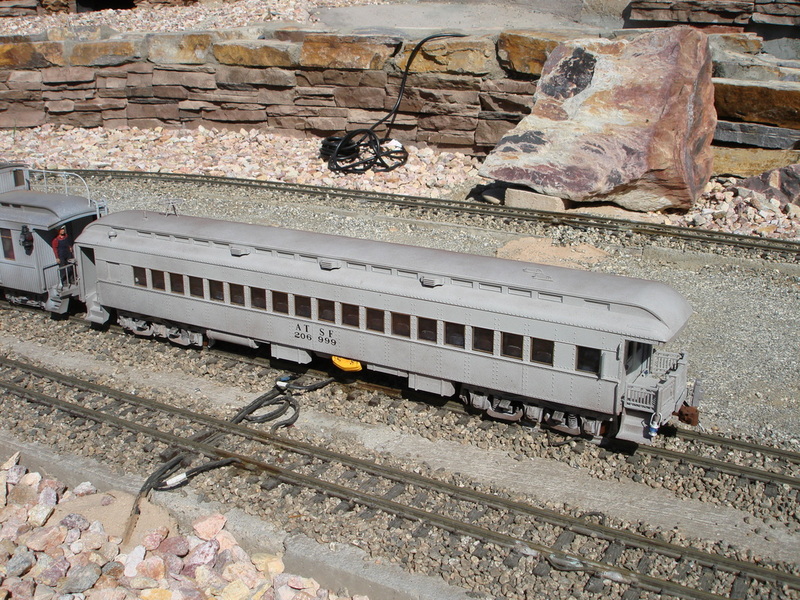 The shower car is made from a Bachmann oil burning tender. Following the showers is, of course, a water car. 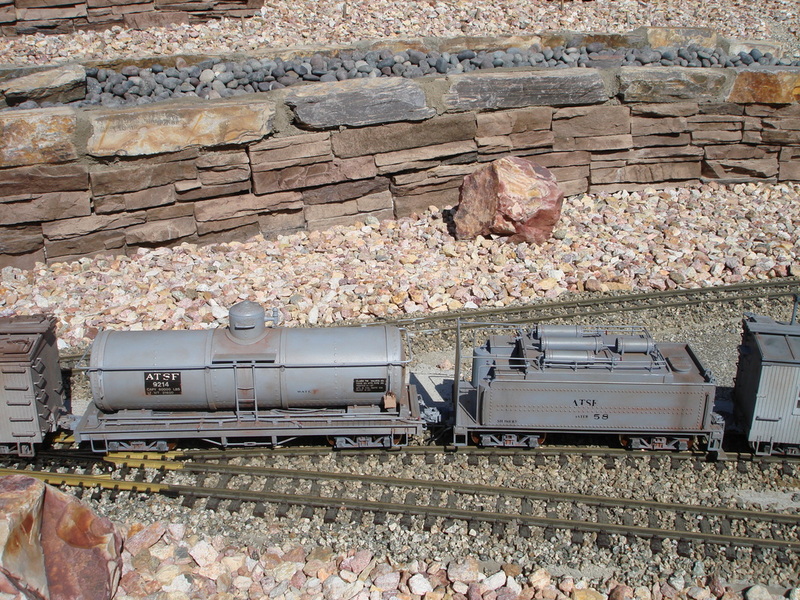 This is made from Bachmann tank car. Both cars were completely repainted and weathered. All piping is included on the tank car. This car is bringing up the rear. 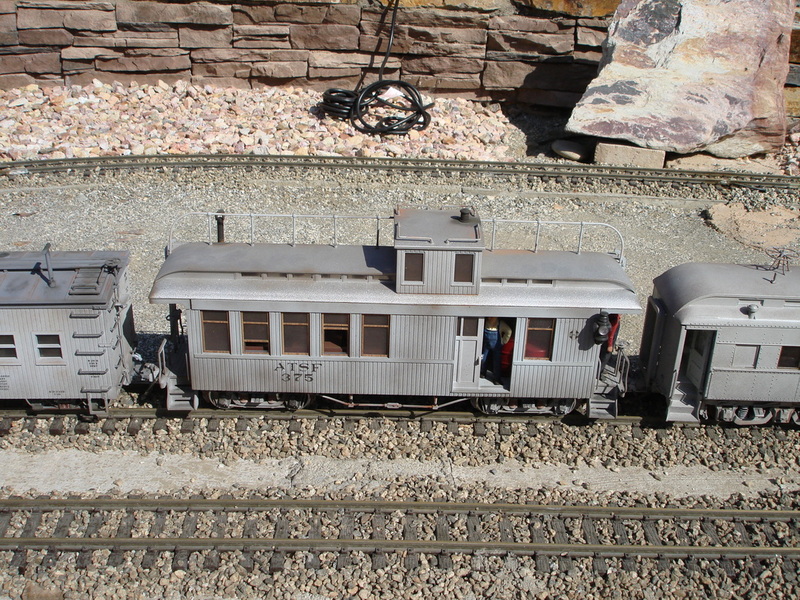 It is an LGB drovers caboose that was completely repainted and relettered. Details include a full interior and constant lighting. One of the two heavyweight MOW cars are complete. I got the idea for this from the SFRH&MS book on Maintenance of Way cars.